A classic look, for a woman who likes to make an elegant statement. 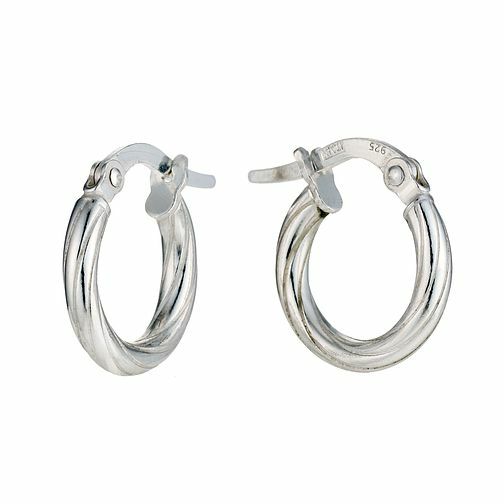 These 10mm twisted silver hoops work with any outfit. Featuring a traditional creole fastening. Silver 10mm Twist Creole Earrings is rated 4.2 out of 5 by 5. Rated 5 out of 5 by Anonymous from My mums earings. I purchased these for my dad to give to my mum on her birthday. She absolutely loved them, and they mean an awful lot to her as the day after we received some horrible news about my dad. I dont think she will ever take the earings out. Rated 4 out of 5 by Anonymous from Lovely earings Really pleased with the earrings. They are just the right size and my Mum was really pleased with them.